We aren’t your average outdoor summer camp. 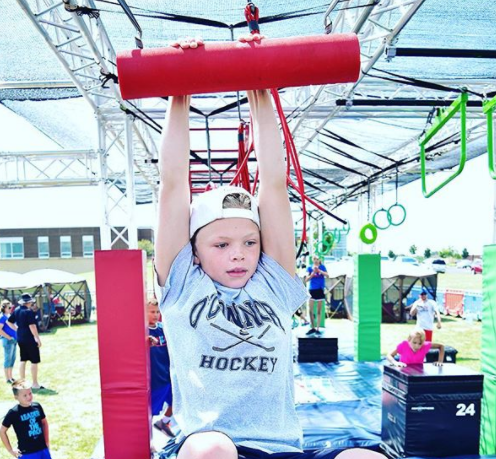 Our obstacles and coaches provide your child with an experience that will make them more focused and resilient people! Join our amazing outdoor summer camps this year! We program engaging challenges, team-building exercises, and more. Watch our flyover tour of our ninja rig and scroll down for our new inflatable course! 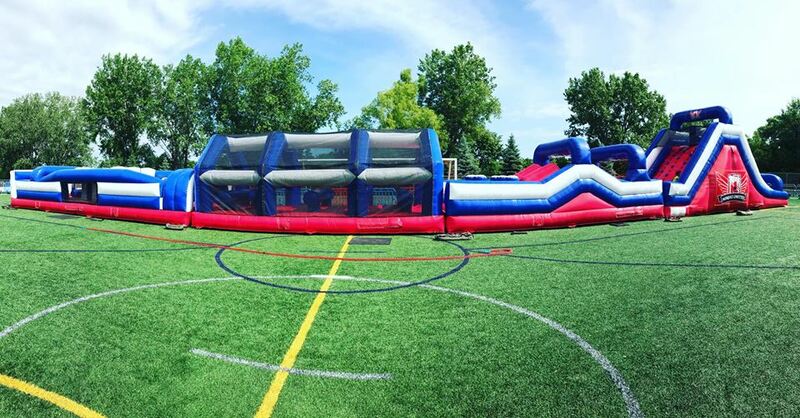 In addition to our ninja warrior course, we have a 120-foot-long inflatable course. That’s two ninja courses in one camp! Participants will challenge themselves on the obstacles and gain confidence in their achievements. Your child will inspire you with their hard work. Coaches will help guide youth through the obstacles. During camps, we take occasional breaks to stay cool. Your child will be reminded to hydrate during these breaks. Participants should be about 48″ tall for outdoor camps. 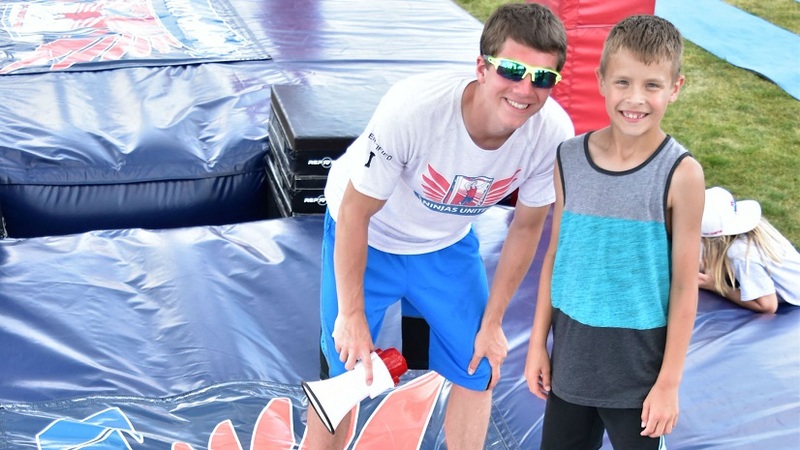 The organizer of this event is Kevin Hogan, a 2-time city finalist on the TV show American Ninja Warrior. We have designed the camp to best optimize your child’s time with us during this outdoor event. For everyone’s safety, we enclose almost the entirety of the obstacle setup with temporary perimeter barriers to help keep the kids contained and safe. Be a part of our community this summer! 4 time slots are available for OUTDOOR Camps. Start times are 10 AM, 12:15 PM, 2:30 PM or 4:45 PM. Each week is the start of a new camp. Use discount code 1010 to save 10% on St. Michael Camps (limited offer). If a child misses a day due to school, you will receive a credit/refund. We added dates in JULY!